During the Cold War, Mullah Mustafa Barzani (the father of Massoud Barzani) approached Washington and the Shah of Iran. He became an officer of the Mossad. 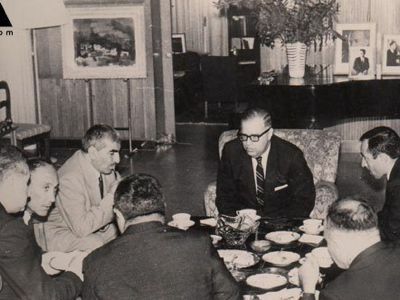 Seen here in Israel with Abba Eban (Foreign Minister) and General Meir Amit (Director of the Mossad). However, the SAA stated that they were, in fact, attacking Daesh, not the SDF. The Syrian Arab Army (SAA) then sent in a rescue mission to retrieve the downed pilot. Al Masdar News (AMN) reported that they encountered intense resistance from the SDF, which would imply a serious escalation between the two . 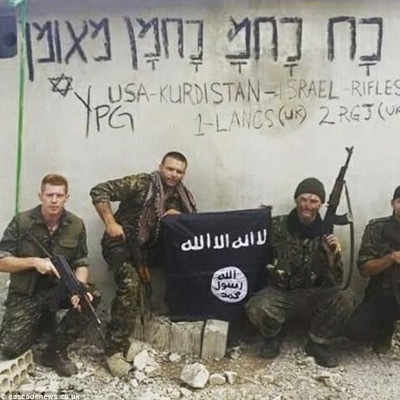 Reporters from German broadcasters NDR and WDR found several G3 assault rifles and a P1 pistol, all engraved with the initials “BW” for Bundeswehr – Germany’s military – in the northern Iraqi cities of Erbil and Sulaymaniyah. 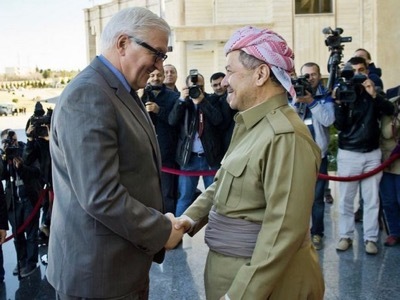 German Foreign Minister Frank-Walter Steinmeier pledges German military support to the Kurds in northern Iraq during a meeting in Erbil with Masoud Barzani, president of the Iraqi Kurdistan region.